Bowman V1.4 (this version) is better than all previous versions. If you wish to play the original game, simply turn off the Wind, Wall and Fatigue features within the game settings. This latest version has it all. It has many options which you can turn on or off depending on how challenging you want it to be. Bowman is a highly addictive classical game. Even if you've never heard of it before, play it just once and you'll be hooked. 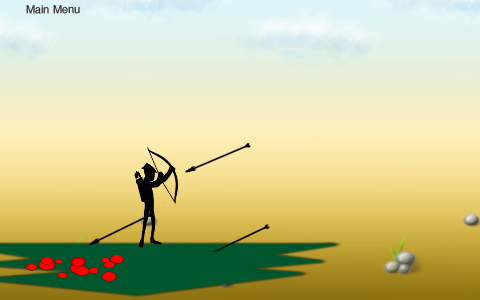 The object of the game is to shoot arrows at your opponent and kill them before they kill you. It's a battle against your opponent to see who can accurately judge the angle and strength of the shot to make the arrow land on your opponents body. A head shot inflicts the most damage while a shot in the chest takes second place. Everywhere else on the opponents body inflicts less damage. 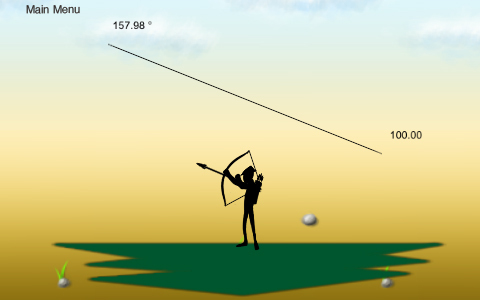 To shoot your bow, simply drag your finger across the screen and you'll be presented with a trajectory plus angle and strength (power) information. Release your finger to release the bow. 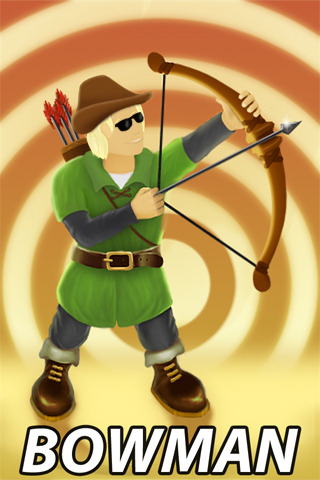 You can play Bowman against the iPhone or against a friend. 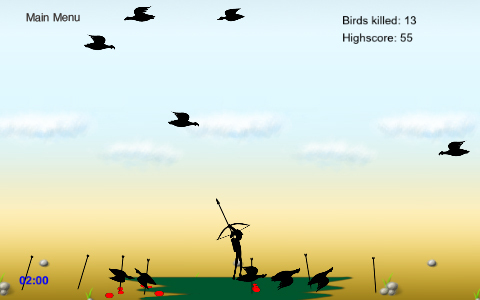 To make it even more entertaining, we have also included a bird shooting game. You'll have to shoot as many birds as you can within 3 minutes and then let your friend try the same. Hopefully, you will have shot more birds than your friend. Thousands and thousands of people play Bowman online every day and now you can enjoy a better version of it on the iPhone. It really is highly addictive. 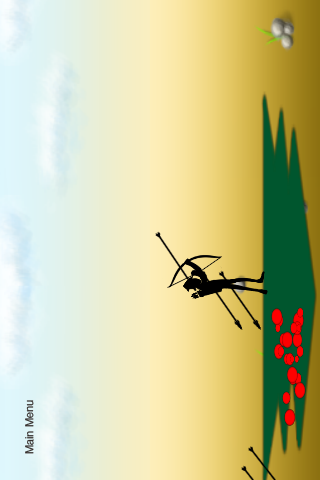 Crash Bug Fixed You can now spray arrows in Bird Hunting mode with Force Bar setting off.